Brittany Alexa Rodriquez wowed audiences last weekend with her performance of Mozart’s Piano Concerto No. 23 with the Falmouth Chamber Players Orchestra, directed by John Yankee. 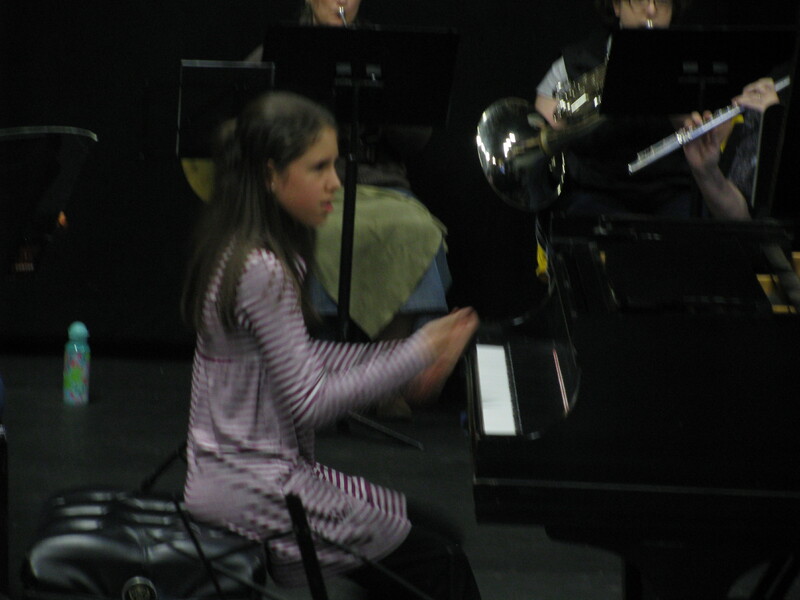 The 11-year-old played beautifully and won everyone’s hearts as well. She has a bright future ahead. Brittany also won the concerto competition she played in on Sunday morning at New England Conservatory–between her first concert with the COP on Saturday evening and the second on Sunday afternoon. Rather than review Brittany performance, I’ll simply let you watch it. The Falmouth Chamber Players Orchestra also performed Haydn’s “Music for the Royal Fireworks” and Beethoven’s Symphony No. 5. Both were very well played, but the Beethoven was spectacular.